Living with Bears has been the ultimate guidebook to living smart, staying safe and sharing space with bears for more than a decade. 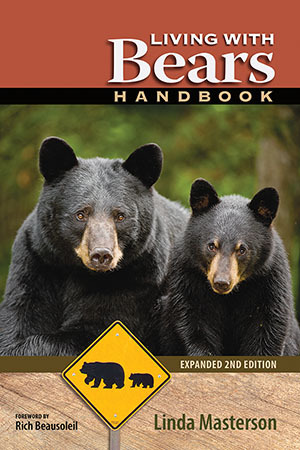 The revised and expanded 2nd edition, Living with Bears Handbook, has been fully updated and is easier to use than ever. It’s packed with practical information, useful tips, inspiring success stories and advice from bear and people experts from all over the continent. This book is designed to be read, post-it noted and put to work. If you're only going to read one bear book, this is it. If you've read 300 bears books, you need to read one more. Recommended by the National Wildlife Federation, International Association for Bear Research and Management, wildlife managers and experts throughout North America. Save 40% when you purchase 5 or more. you owe it to bears to read this smart, useful and long-overdue book." Dozens of state agencies from around the country use the Living With Bears book in their training and outreach programs. State and national parks sell it, and provide it to volunteers. 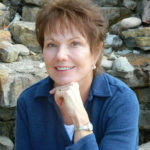 Author and researcher Linda Masterson was a member of Colorado Parks and Wildlife's Bear Aware team for more than a decade. Her latest book, Living with Bears Handbook, is an expanded and completely updated second edition of the guidebook that's been the bible of coexisting with bears for more than a decade, Living with Bears. and anyone who spends time in the great outdoors. Purchase books and pocket guides from the publisher, PixyJack Press. Wholesale prices available in the store.